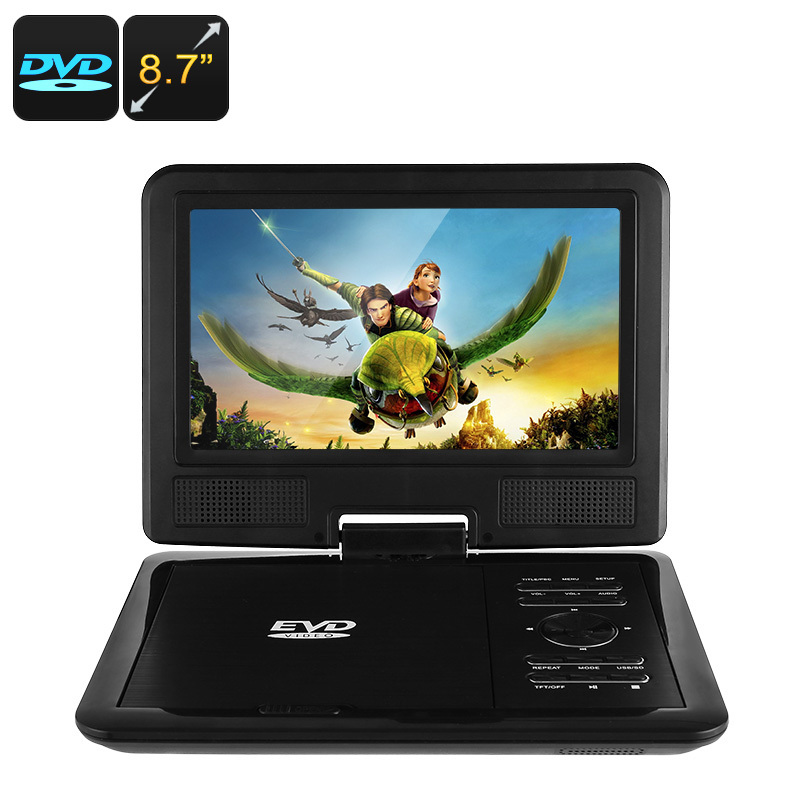 Successfully Added 8.7 Inch Portable DVD Player - Region Free, 270 Degree Swivel Screen, FM Radio, MP3, TV, Games to your Shopping Cart. Boasting HD resolutions and 270-degree swivel screen this portable DVD player lets you take the fun with you. Great for long road trips, rainy afternoons away or camping tips. Entertain the whole family with DVD's, games, radio, and TV shows as this DVD player can do it all. The fact that the screen can rotate through 270 degrees makes it easy to position the DVD player when all can see. This DVD player supports a multitude of disc types and formats, furthermore, with the region free support, `you'll be sure that every film you have will be supported no matter where you bought it. Portable entertainment including emulation games, DVDs, radio is a perfect way to keep the kids entertained on long flights or when stuck in traffic. you can use USB thumb drives or SD cards to easily store a wealth of media and thanks to the headphone jack there's no need to disturb others with the umpteenth playing of the latest Disney movie or animated series. This 8.7-Inch Portable DVD Player comes with 12 months warranty. Brought to you by the leader in electronic devices as well as wholesale portable DVD players and cool gadgets..